The flood situation in the Cuvelai catchment area has reached alarming levels and residents are being warned to take necessary precautions, in expectation of the worst possible flooding experienced here in living memory. Over 70 people have so far drowned in Oshana, Omusati and Ohangwena regions in Namibia because of heavy downpours. Over 60 schools in Omusati Region are also reported to have shut their doors, while about some 120 families consisting of 562 individuals have been displaced at Oshakati and temporarily relocated to Ekuku. Heavy rainfall is forecast for the areas within the Cuvelai Basin, including Omusati, Oshana, Ohangwena, Kunene, Kavango East and West and the Zambezi regions and residents of those areas are advised to be on high alert for possible flooding. 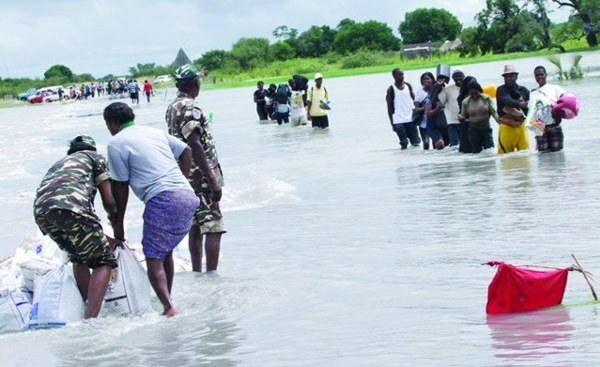 All institutions and sectors and relief agencies that normally participate in disaster management have been urged to activate their contingency plans for flood management in preparation for the potential disaster. Communities are being advised not to cross rivers in the flooded areas and to take precautionary measures to avoid loss of life and damage to property. Namibia which has been facing the effects of their severest drought in over a quarter of a century for the last four years. Some 330,000 people in Namibia are food insecure, 14 percent of the country’s population. Namibia is the fifth area to witness an astonishing turn around for drought crippled regions around the globe: California, Zimbabwe, New Zealand and Madagascar and now Namibia have had droughts wiped out!